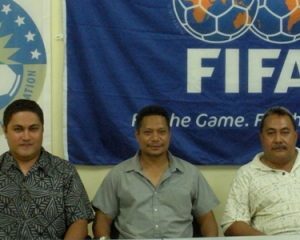 Samoa Football > News > Samoa > Ba have long been the powerhouse of Fijian club football but the balance of power looks set to shift as Lautoka are just one win away from securing the all-important 2010 O-League spot. Ba have long been the powerhouse of Fijian club football but the balance of power looks set to shift as Lautoka are just one win away from securing the all-important 2010 O-League spot. The ‘Sugar City’ is waiting in anticipation for today’s showdown where its Lautoka heroes take on Nadi in the crucial National Soccer League fixture which will decide whether they will be the Fijian side to take part in Oceania Football Confederation’s Champions League. “We are hungry, very hungry for the win,” Says Lautoka Soccer Association president Shalen Prasad. “This is the first time Lautoka has been in this position to qualify for the O-League and we are not going to let it slip from our fingers,” he said. Prasad says his team will not settle for a draw against the Jetsetters. The do-or-die match kicks off at 7pm at Churchill Park and it may well be Lautoka’s last chance of making their much awaited debut in the O-League. The Blues will field their strongest team tomorrow with the likes of Valerio Nawatu, Jone Vono junior, Kamal Hassan, Ilaitia Tuilau, Samuela Vula and Samuela Kautoga. Prasad says his Nadi counterpart Jitendra Kumar has issued him a challenge saying that the Jetsetters will be giving their best, looking for an upset. “Nadi has promised an upset. Their president Jitendra Kumar called me up and said they were not going to let us qualify for the O-League,” Prasad said. The Blues will select a team captain hours before the game but Prasad revealed it was likely to be goalkeeper Laisenia Tuba. Prasad said while a draw could still ensure they qualify for the O-League he said they only wanted a win. Nasinu 1pm (TFL Stadium), Labasa v Ba 3pm (TFL Stadium).